Ah, cheap web hosting, how you please us so! It’s every webmaster’s dream to find a host that’s high on quality, and very low on price. There are a few out there, but sifting through the wave of terrible (but oh-so-cheap) hosts can be quite the mess. We understand your woes, though, and to help you along, we’ve compiled this short list of some of the best and cheapest web hosts around. This one’s another site to throw under the cheap, reliable, and with great tech support category. WebHostingHub costs about the same as Host Papa, coming in at just under $4. The site also offers unlimited disc space and bandwidth, which is a nice touch. There’s also an instant set-up feature that comes complete with a free domain name. Not to mention round-the-clock tech support in case your site explodes during the night. It’s yet another cheap and quality offering, making WebHostingHub easily worth a look! Nothing perks up our interest quite like the word “unlimited.” Unlimited bandwidth, unlimited transfer, unlimited storage space, and unlimited potential. Life without boundaries is a blissful existence, and thankfully, Host Papa offers just that. 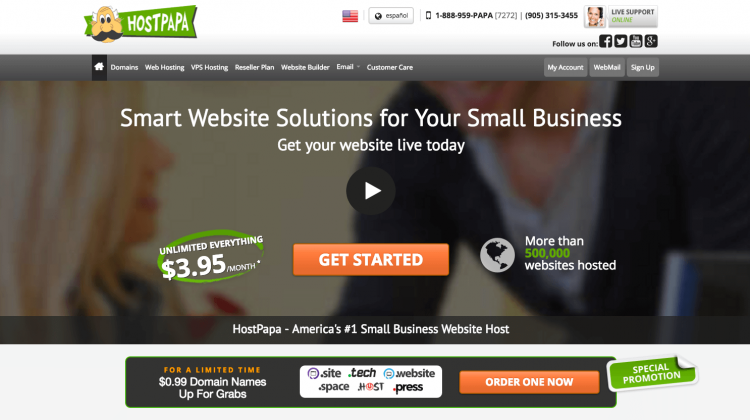 If you’re looking for cheap web hosting, it doesn’t get much cheaper than Host Papa: The service clocks in at $3.95 a month, making it one of the lower-priced offerings around. For that money, though, you’ll get unlimited everything, plus a ton of ad credits with popular search engines (including Google and Yahoo) and enough MySQL to choke a horse. It’s bargain-priced, effective, and uncapped—sounds like a deal to us! 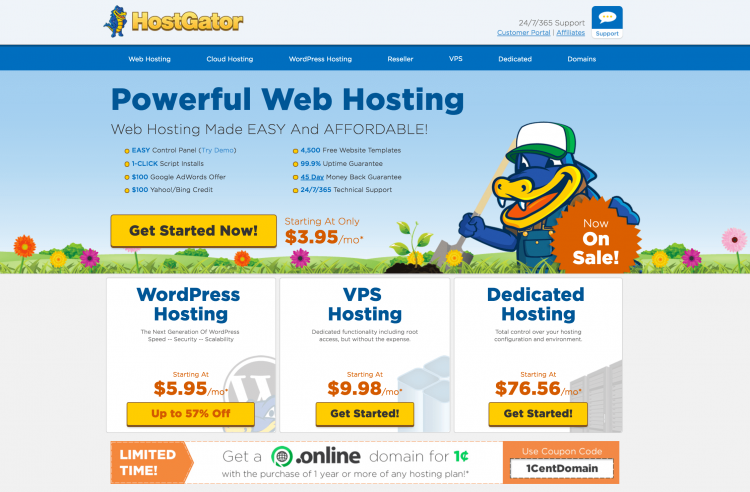 Love it or hate it, HostGator definitely qualifies as a cheap and professional-grade web host. This legendary service claims to host over 5-million domains, and it’s got the lineage to prove it. Plans start at the dirt-cheap $3.71 a month level, offering several different flavors of unlimited. Among these include unlimited bandwidth, unlimited disc space, and unlimited email. There’s also $100 Google Adwords credit, heaps of site-building utilities, and an easy-to-use cPanel interface. That’s it for our list today. There are plenty of other cheap and quality web hosts out there, though, and our compendium is far from a totality! Just remember to always do your homework, and don’t get snookered by a too-good-to-be-true price. Do the research, and you’ll be just fine, especially if you follow our recommendations. “WebHostingPad” is listed on your Top Ten list at #3 for just $2/month. I was wondering if there’s a reason it didn’t get included on this list? Thanks, this site has been very helpful!